Improve your work habits or learning skills at school. The things that distract most people are: Things like daydreaming, others making noises, not being able to listen, not focusing, fidgeting, anything that prevents you from achieving your potential at school. 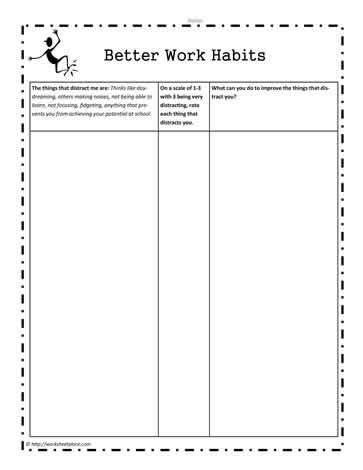 This worksheet helps to provide some reflective thinking about why one's potential isn't being realized.